The Will of Betty Fernell nee Adlington. 1797. Betty Furnell. Will Transcript by and copyright Neil McKay. 2016. Calow Spring Farm. Although she was still living in Spring House at the time in 1797, she did not bequeath the House to any of her Children. She made much reference to the settling of Debts and Expenses and instructed her three Trustees to sell anything not bequeathed to the Children for this purpose. Any remaining money was then to be shared out between them. It would be a reasonable assumption therefore that Spring House was sold, but to whom, is anyone's guess. The 'Painted Arms of the Fernell Family are referred to in the Will. 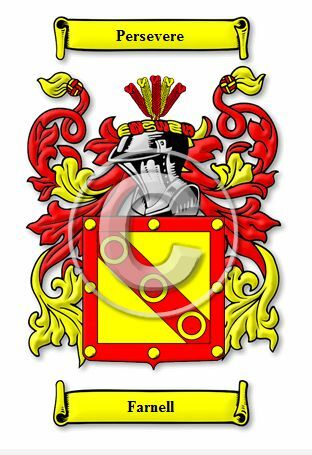 I did a search and found the Arms for the Farnell Family which I have attached. There is a suggestion that Fernell is a variant of Farnell.